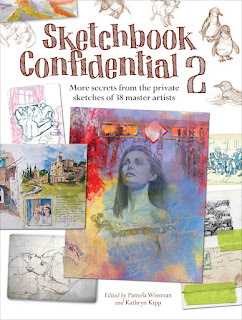 I’m making a quick post today to let everyone know they should really check out Sketchbook Confidential 2 which recently released from North Light Books! 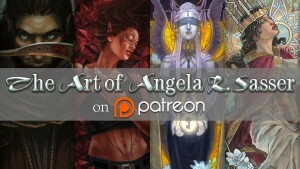 It’s a compilation of sketches, artist bios, and advice that brings you insight from a troupe of varied artists, including myself! The best part, for me, is learning how different artists approach sketching using their own unique methods and how this informs their finished work. My column, plus a few sketches I haven’t widely released, start on page 132. I adore books like these because it’s always fascinating to me to see how other artists plan their pieces through sketches, what references they gather, and how this can inform my own process. Lots of food for thought here! Buy the book from North Light Books or at your local book store! Congratulations on the new book! I couldn’t agree more, it’s really nice to see and learn hoe other approach and process their work and how you can learn and incorporate some ways to improve your own work.